In a report by Frederic Lardinois for TechCrunch, Osterloh was cited as saying that Google has "no plans" for future laptops. The company continues to sell its Pixel C tablet and its Pixel-branded phone built by HTC. Chromebook Pixel and its Pixel 2 successor attempted to sell higher end laptop hardware running the company's ChromeOS, which is a version of Linux running the Chrome web browser--capable of only hosting rich web apps, not native software. The models were first introduced in early 2013, using Intel Core i5 processors and SSD storage similar to Apple's MacBook Air. At the Pixel's introduction, AppleInsider wrote that "Chromebook Pixel is just the latest step by Google in what appears to be a larger quest to establish itself as a hardware company." In 2013: "Chromebook Pixel is just the latest step by Google in what appears to be a larger quest to establish itself as a hardware company." Google paired the machines with 1TB of free storage (for three years, which is effectively expiring as the products are discontinued), as well as other features that pundits have asked Apple to follow, including a touch screen display. Today, however, Lardinois writes that Google "never intended to sell in high numbers" and that "Pixel was always meant to be aspirational," describing it as "the first hardware device that showed that Google could build vertically integrated devices that could compete with the likes of Apple," even though Pixel make it clear that Google could not, in fact, compete with Apple. However, Google did compete with Apple's advertising. Its introduction of the Chromebook Pixel forced Apple to stop describing its 13 inch MacBook Pro as being the "highest resolution notebook" of the time back in 2013. Google updated the Chromebook Pixel in March 2015 with faster processors and early support for the new USB-C connector, although those models did not support the much faster Thunderbolt 3 connectivity found in the latest MacBook Pro models with USB-C ports, making the port change largely just change for the sake of change. 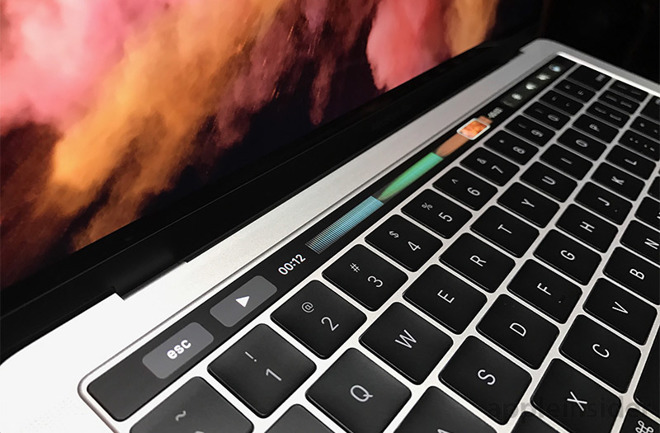 Since the Pixel's discontinuation, Apple has taken its MacBook Pro line into more premium territory with new extremely light and thin models that boast desktop-class, flexible connectivity via Thunderbolt 3, ultra fast PCIe storage, a Wide Color display, immersive stereo speakers and a dynamic Touch Bar. Enthusiasm for the new models--stoked by pent up demand--helped Apple reach a new peak in Mac sales during the December quarter. Below $1,000, Apple has focused on sales of its iPad Pro line, which is rumored to be updated later this month. Google's Pixel C tablet exists in the same space, although rather than running ChromeOS, it ships with Android. Google is reportedly working on plans to eventually replace Android with a new version of ChromeOS with the ability to host Android apps in addition to web apps running in the Chrome browser.